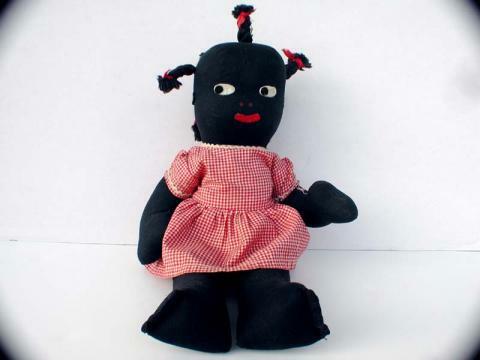 Handmade doll, possibly from a kit c 1930. Felt eyes, mouth and ears; painted nose and sewn toes. Articulated with string. Measures 12" tall. Excellent condition.